The district is situated between the cities of Frankfurt, Wiesbaden and Mainz. In 1928 parts of different districts merged to form the Main Taunus district. The district town changed in 1980 from Höchst to Hofheim, where, in 1980, the district administration moved into a new administrative district office on the Hochfeld (high field) nowadays, around 228,000 people live in the district’s 222.4 square kilometres. 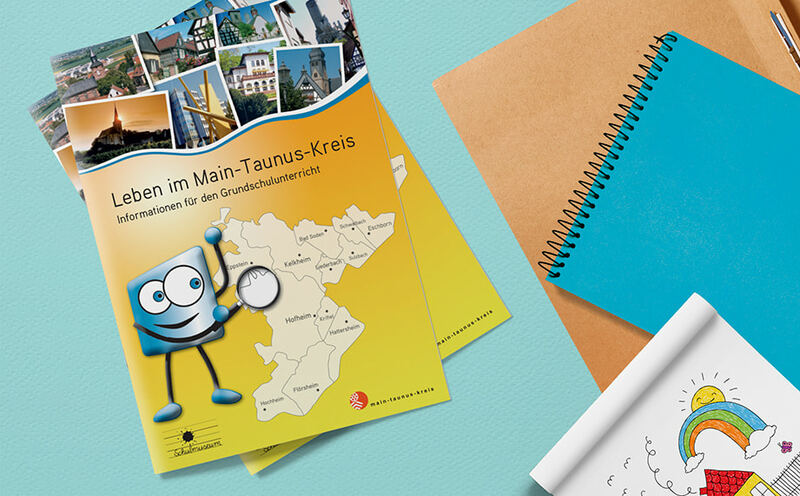 It has passed 90 successful years of Main Taunus Kreises. Big anniversary deserves to be celebrated through every visible mark of MTK. Logo was redesigned and adjusted to special occasion but still with recognizable symbol of MTK and existing logo design. 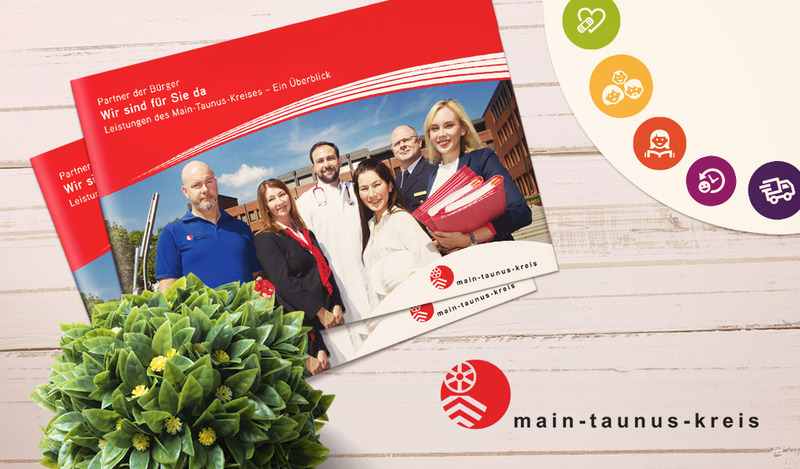 Tailor-made brochure represents the overview of service and everything that MTK offers to their citizens. 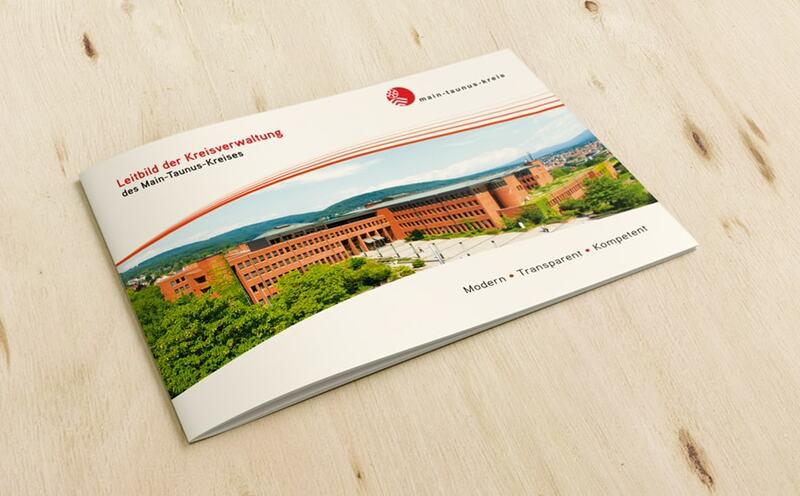 In accordance with the whole branding of MTK, we’ve used red color and wavy lines for the design of the brochure. If You take a closer look, You’ll see that we paid attention to each section to have different icon and color. 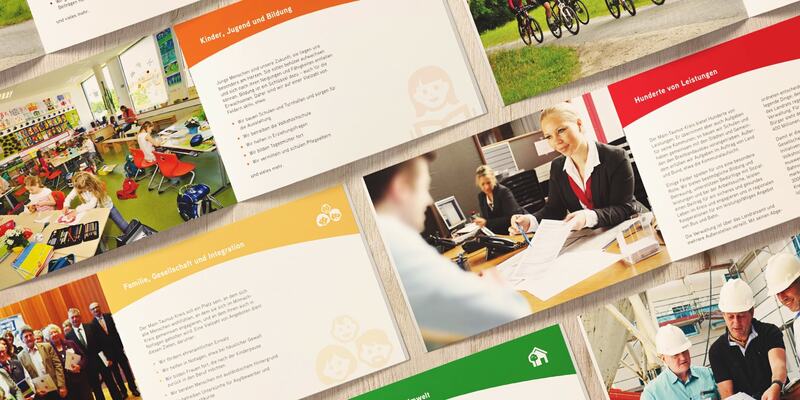 Every brochure has sections marked with a different color for easy navigation for a reader. 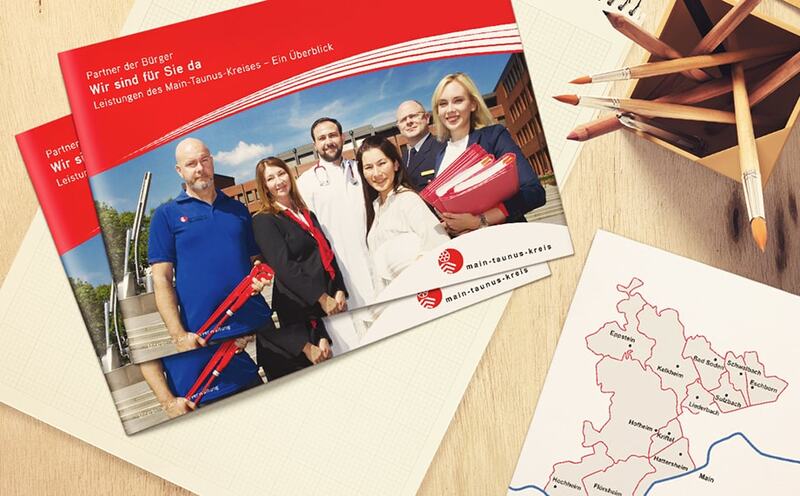 This one specifically has organized information about the mission of the district administration. 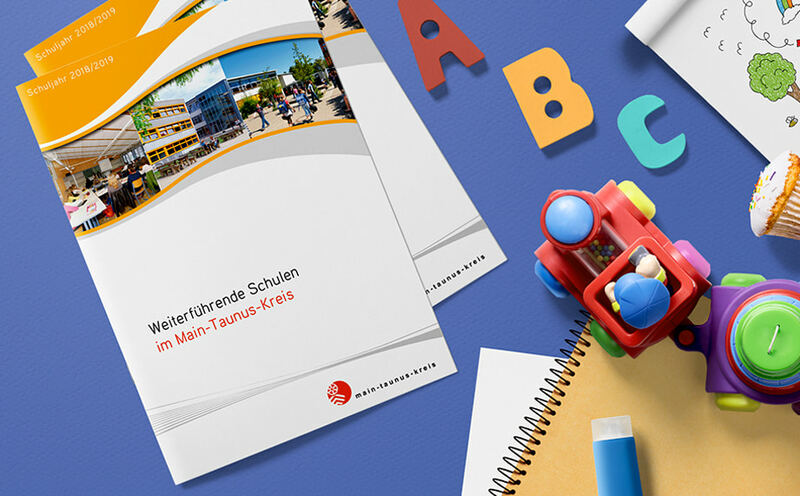 Knowing fact that choosing a secondary school is parent’s responsibility, MTK wanted a brochure with essential information of each school standing in an offer. The design was our choice, so here you have enough information organized into various sections. MTK district cares about citizens so the quality of life is very important part of their mission. In this brochure, you can find out who cares for you and how. Also, there is various information how you can improve your way of life. The elements which symbolize communication, signal strength and modern technology has been added to the memorable form of the MTK logotype and all that complemented with well-known MTK corporate colors.